Electrologists use electrosurgical apparatus to accomplish permanent hair removal by inserting electric current into the hair follicle thereby destroying living tissue and germinative hair cells. An Electrologist is a person licensed to practice electrolysis. Electrolysis is the practice of using an electrosurgical apparatus (needle) to accomplish permanent hair removal by inserting electric current into the hair follicle thereby destroying living tissue and germinative hair cells. 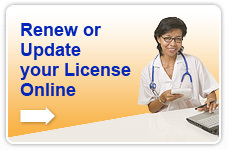 Download Requirements and Procedure for Applying for Licensure as a Registered Electrologist - updated - April 2014. Download Continuing Education Report-Updated Sept 2006. Registered Electrologist licenses are renewed annually. R.E.s must obtain 15 contact hours of continuing education within the three year accounting period. The current accounting period ends December 31, 2015. 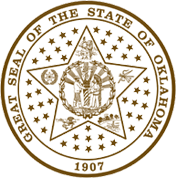 Oklahoma Administrative Code Title 435. (A) A continuing education unit (CEU) is the equivalent of ten contact hours. (B) The Advisory Committee of Registered Electrologists will oversee the program.CEUs will be awarded by the Committee or the Committee chairperson with ratification by the Committee at the next meeting. (C) CEUs will be approved according to the established guidelines and accepted proposal or at the discretion of the Committee when the aforementioned are inadequate or inapplicable. (D) CEUs must be obtained over the designated accounting period for licensure. (E) CEUs acquired beyond the requirement cannot be credited to the next accounting period. (F) The accounting period shall be three (3) years and 1.5 CEUs will be required during that period. Licensees shall report to the Committee earned CEUs no later than October 31 of the third year of the accounting period prior. The final two months of the accounting period shall be used by the Committee to review the reported CEUs earned by licensees prior to the renewal date to which the reported CEUs apply. (G) Submittals must be made on standardized submittal cards signed by the sponsor of the program or activity being submitted for credit. (H) Submittal cards may be obtained through the Oklahoma State Board of Medical Licensure and Supervision or the O.S.E.A. (I) Submittals must be made to the Committee through the Board. (J) The Committee will account for acquired CEUs and yearly notify each Registered Electrologist of the number acquired and the number lacking. (K) New licentiates will be required to obtain CEUs on a pro rata basis depending upon when they are licensed during the accounting period. Furthermore, no CEUs will be required during the full calendar year in which one is just licensed. (2) Traditional methods of CEUs. The above are given by National, Regional or State electrolysis organizations. (E) Electrolysis related workshop, seminar or conference given by Committee approved school or other Assigned value = 0.1 CEU per hour of program attended. (F) Journal of Electrology articles and other courses approved by the American Electrology Association. (3) Alternative Methods of CEUs. (i) Presentation at National, Regional or State electrolysis organizational workshops, seminar or conference. (ii) Other presentation as approved by the Committee Assigned value = .05 to 0.2 CEUs per presentation. (iv) Production of other media such as videotape, slide/ tape presentation, etc. that is available for general viewing as approved by the Committee. Assigned value = 0.05 to 0.3 CEUs per publication or finished product. (i) Principal or co-investigator, project director or research assistant. Research proposal and final results submitted to Committee for approval. (ii) Quality assurance studies completed and published in a journal, newsletter or professional magazine. Assigned value = 0.2 CEUs per project. (i) College and university course work directly relating to improvement, advancement licensure or those in the Newberry degree program). (ii) College and university courses that are indirectly related, yet support skills and knowledge will be evaluated individually and assigned value accordingly by the Committee (i.e. business, improving human relations, etc.). Assigned value = 0.1 to 0.3 CEUs as approved. (i) Independent reading of articles, books, or journals followed by written or oral review. (ii) Watching relevant videotapes or programs followed by a written or oral review. (iii) Listening to electrolysis or other health related seminar tapes followed by a written or oral review. (iv) Other self-study relevant to the practice of Electrology. (v) Values will be assigned for each submittal based on relevance to one's practice and the complexity of the material. Assigned value = .05 to 0.1 as approved, not to exceed 0.2 CEUs in one accounting period. (F) National certification - C.C.E. or C.P.E. Achievement of a National certification by a recognized body such as AEA or SCME will be awarded 0.2 CEUs one time only. Assigned value = 0.2 CEUs one time only. (G) Cardiopulmonary resuscitation certification or recertification. Assigned value = .2 CEUs per accounting period.